In June, two lovers got into a playful disagreement over the origin of a Whatsapp message. He knew his woman does not sing, so, he was pretty sure that it was not from her. However the question: "where is this coming from?" kept lingering. 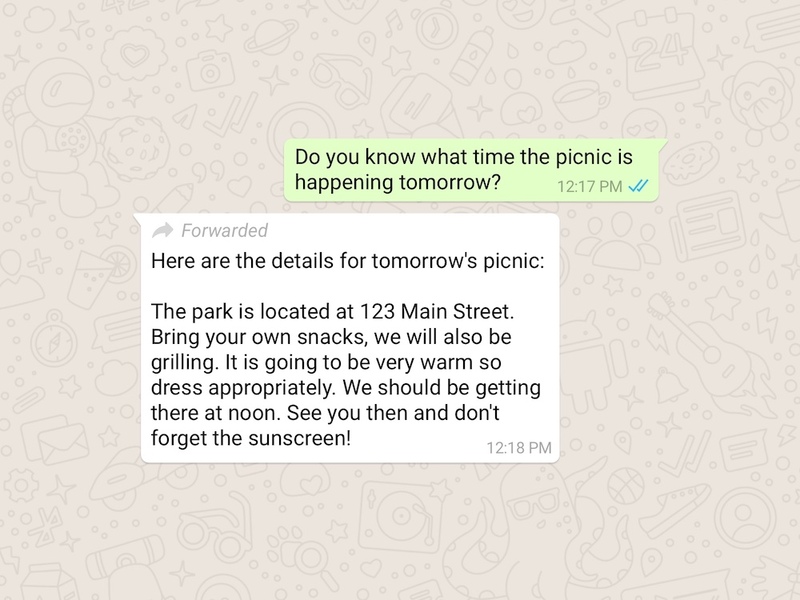 Whatsapp's July 10 update set out to answer that question for the likes of Ms. Opeyemi, in unmistakable terms. According to a blog post from the company, "WhatsApp will indicate which messages you receive have been forwarded to you". In essence, labeling forwarded messages solve the origination question. How about managing the virality of misinformation or fake news? Before we look at how Whatsapp is handling it, I think it's pertinent to ask why messages even go viral in the place? Why do messages go Viral? A GIS firm needs 5 young programmers - preferably fresh graduates. Salary is between 300-400k. Send CVs to [email protected] tomorrow. True to his words, my dad had unknowingly sent me a similar message TWICE on two different dates via Whatsapp. It went so viral that it kept coming back almost every 6 months. Typically, users like myself and Moroluwa Dada only forward relatable messages that are generic and too long to type. Another reason is that you are not the originator and you do not know so much about it. But you believe someone could benefit from the content therein. As humans, we get some fulfilment when we are able to contribute to the success of others. Therefore, a lot of users tend to forward news-worthy content in good faith to create more awareness about a topic. 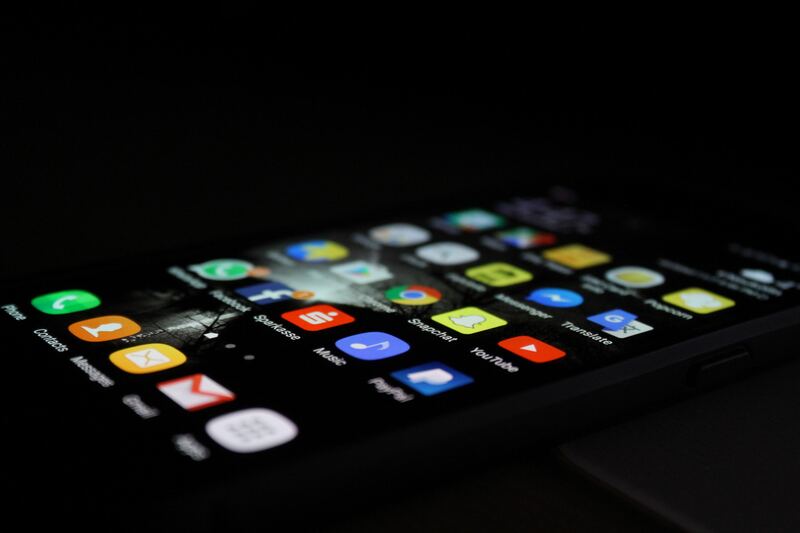 "Prayers, alerts/warning, BREAKING news, health tips..."
This unmetered news-sharing is fueled by the two-way producer ecosystem the internet and social media has created. Formerly, the dissemination of news was done solely by trained journalists and professional media outlets who utilise(d) print (newspaper), radio and terrestial channels. Now, any social media user can be a news source and others carriers. They broadcast content to their contacts, followers and friends at will without the burden of validating the news. Once it looks true or logical, click goes the message. Enoobong's analysis applied the six traits outlined in the book Made to Stick by Chip and Dan Heath as a framework for understanding why that tweet went viral. The traits are simplicity, unexpectedness, concreteness, credibility, emotions and stories. To summarise, messages that are too-goo-to-be-true (unexpected), quantitative (concrete), credible, narrative and appealing to the emotions of readers tend to go viral. Applying that same logic to the rumour of child abduction in India, we easily see why it went viral. Children are a protected specie; pictures and stories about them tend to elicit so much emotion from the older generation. While 27 people connected with the spread of the rumour have been arrested, it doesn't bring back the lives of Nilotpal Das and Abhijit Das. Whatsapp, in another blog post, reiterated that the service was built as a "private messaging app". And while they have taken steps to address the killings in India, they will now be limiting the number of recipients per forwarded message to just twenty (20). While in India it will be only five (5) chats at once. Also, they have removed the quick forward button which formerly showed in front of media content (pictures and videos). For Olutayo, he will never have to ask whether a Whatsapp message originated from his lover, Opeyemi because it would be glaring. While for Opeyemi, she will have to carefully select the 20 Whatsapp contacts to forward a message to, such that it has the greatest impact. And for Christian - the content originator, he is limited in the reach of his new song. To reach more people on Whatsapp, creatives like Christian will have to send different messages to different sets of 20 people. History has shown us that when a new industry emerges, a handful of companies strive for market dominance. A time like this reminds us of the “race-of-the-telcos” in the early 2000s and the “war-for-ecommerce” in the 2010s. Who will capture the Nigerian Digital Financial Services Sector? Why we should all learn to code.